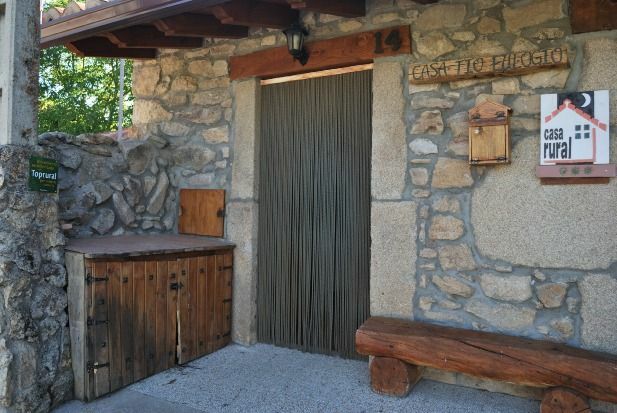 In the heart of the Natural Park of the Sierra de Gredos is Navalperal de Tormes, entrance to this beautiful place. Barrier I and II are a rehabilitated construction with capacity of 2 and 2-4 people respectively. By joining both lodgings, it becomes a house for up to 8 people. Barrier II can also be rented for two people. I'd already stayed here a few years back on a family trip. This time around I was with a group of work colleagues over in Spain for a week. As before, the house was top-notch and the owner Juanjo his usual cheerful self. The locals are friendly and Navalperal now has no less than two bars for your drinking pleasure. If you fancy some peace and quiet surrounded by mountains, this place is excellent value. I hear Juanjo is opening another property soon in the village, so that'll be worth checking out too. Estuvimos 4 personas (2 adultos y 2 niños) en Barrial II. Muy buena distribución, todas las habitaciones son espaciosas. Casa muy bien amueblada y con todos los utensilios necesarios, tanto en cocina como en baños. Los colchones son ligeramente blandos, pero enseguida se acostumbra uno. La casa está muy bien iluminada de forma natural por las numerosas ventanas, pero en el salón comedor se echa en falta un poco más de luz cuando anochece. El trato del propietario es bueno y la localización de la casa es perfecta para disfrutar de Gredos.